Be the first to hear about their new releases and deals. Download the Booksprout app and search for Catherine Townsend-Lyon today! Catherine Townsend-Lyon is the best-selling Author of her shocking debut Memoir "Addicted To Dimes, Confessions of a Liar and a Cheat. Available on Amazon, Barnes & Noble, Books-A-Million, and Walmart Online and now her new compilation book titled; "Ten the Hard Way; True Stories of Addiction and Recovery" released October 2017. Catherine has fast become well known in the addiction & recovery communities. Her book shares her raw, unedited and haunting past of gambling addiction, living with mental health challenges, a childhood trauma, and abuse survivor, as she helps many in recovery and advocates about these important issues to Shatter Stigma, Raise Awareness, and Educate the public, and those who have been 'touched' by the same. Her mission is to spread HOPE to others looking to recover and warn that suicide is not an option or answer for someone with a gambling addiction. She was featured in a 4 part interview series by, www.Addiction.com "My Addiction" about her story of gambling addiction and recovery. Her story was picked and featured in "Heroes In Recovery and Facing Addiction." She is a former columnist from "In Recovery Magazine ~ The Author's Cafe." In 2014 Catherine became an 'Expert Gambling Recovery Blogger' to write about gambling addiction recovery on "Addictionland" of Author & Founder, Cate Stevens . . . http://www.addictionland.com/blogs/entry/kitcatlyon/ alongside the likes of Patty Powers, Tommy Rosen, and Christopher Kennedy-Lawford. 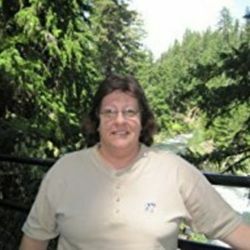 She continues to expand her writing and advocacy as a recovery contributing writer for 'Keys To Recovery Newspaper,' a popular Southern California recovery publication and 'From Addict2Advocte.com'... She resides in Arizona with her husband Tom and their three furry kitty's.